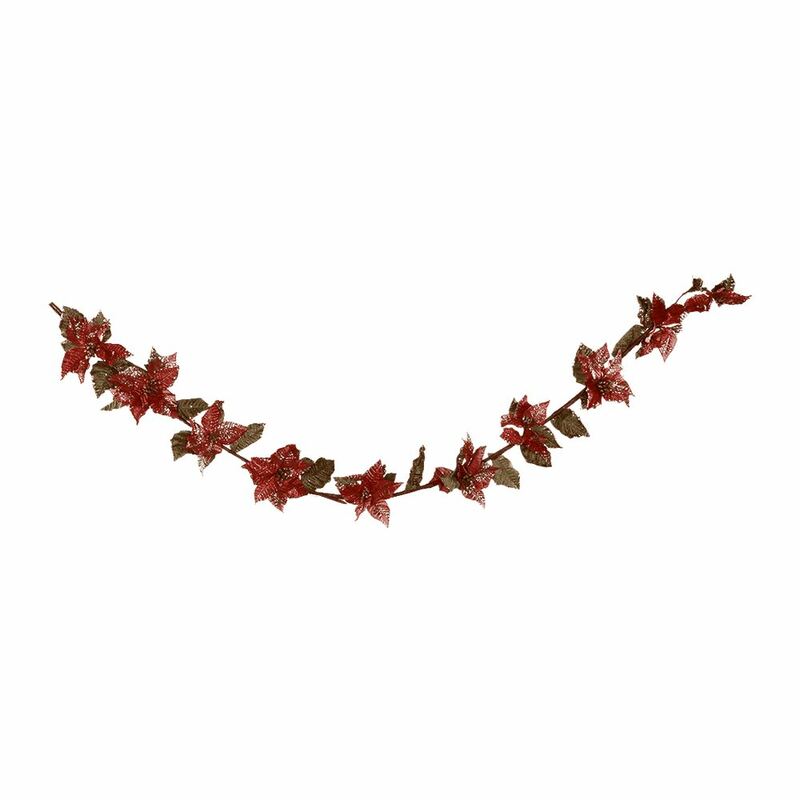 This 1.6m length of glistening Poinsettia Christmas Garland 1.6m is a stunning and safe way to incorporate the beauty of this festive flower with your holiday decor- yet prevents any risk associated with using fresh poinsettias around the home. It is encouraged that those with pets abstain from fresh poinsettias as they may be toxic for dogs and cats; for this reason, artificial poinsettias may be the best approach to decorating your home for the Christmas season. This full, sparkling Poinsettia garland is beautiful, and super-easy to use on mantles, windows, banisters, and your holiday tree! It is abundantly adorned with vibrant red poinsettia blooms kissed with a touch of gold glitter and surrounded by rich, green leaves. This is the easiest way to bring the beauty of this traditional holiday flower to your home themes, while maintaining peace of mind and safety for all members of your household!